According to a recent news feature from Mass Live, Gina Cappello, the vice chancellor at the University of Massachusetts at Boston (UMass Boston) has died as a result of the injuries she sustained during a fatal multi-vehicle car crash in Oxford, Massachusetts. She was 52-years-old at the time of her death. She is one of two people who were killed in this tragic motor vehicle accident. Authorities have said the accident occurred when a late model Lexus was exiting Interstate 395 in Worcester County and lost control as the driver was attempting to merge onto Sutton Avenue. The driver then allegedly struck another vehicle traveling in the area. This vehicle, a Toyota sedan, then lost control after being hit by the Lexus and crashed into two people walking down the sidewalk when the accident occurred. Both pedestrians were killed. When first responders arrived at the scene, they were faced with nine car accident victims with varying degrees of injuries. Seven people were inside the cars at the time of this horrific accident and suffered injuries of varying degree of seriousness, but as a spokesperson for the police said, they did not believe their injuries were life threatening at this time. 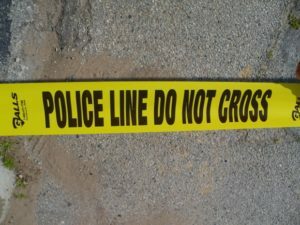 The two pedestrians obviously had suffered far more substantial injuries and were taken to UMass Memorial Medical Center in Worcester, which is a level-one trauma center. The 53-year-old male victim was pronounced dead soon after arriving at the hospital, as his injuries were too severe for doctors to save him. Cappello was also severely injured upon arrival at the hospital and was soon placed on life support. However, doctors determined she would never recover from her injuries, and she was soon taken off life support, becoming the second fatality in this Worcester car accident. In a car accident in which a victim is killed, and another driver caused the accident, the plaintiff would file what is what is known as a wrongful death action under a theory of negligence. The underlying cause of action is the same as in any other type of negligence-based car accident claim; however, the fact that a victim was killed can affect the amount of damages and the type of damages, and may also allow for certain other claims for the victim’s surviving spouse. In the case of the surviving spouse, this person can be a plaintiff, as well, and file a direct claim for loss of consortium. This means that, due to a serious injury or death of spouse, the surviving spouse suffers a loss of the relationship with their spouse, and this can lead to an award for monetary damages in a car accident lawsuit. The other claims are brought in the name of the estate by the personal representative, who is normally the surviving spouse, or an adult child if there is no surviving spouse. This can include claims for pain and suffering caused up until the moment of death, medical bills, funeral expenses, lost wages, and other types of special damages.